“Real life superheroes exist, and sometimes they come from people we don’t think look like superheroes," said Sisoy-Isgro. The book is written and illustrated by two women from Metro Detroit. 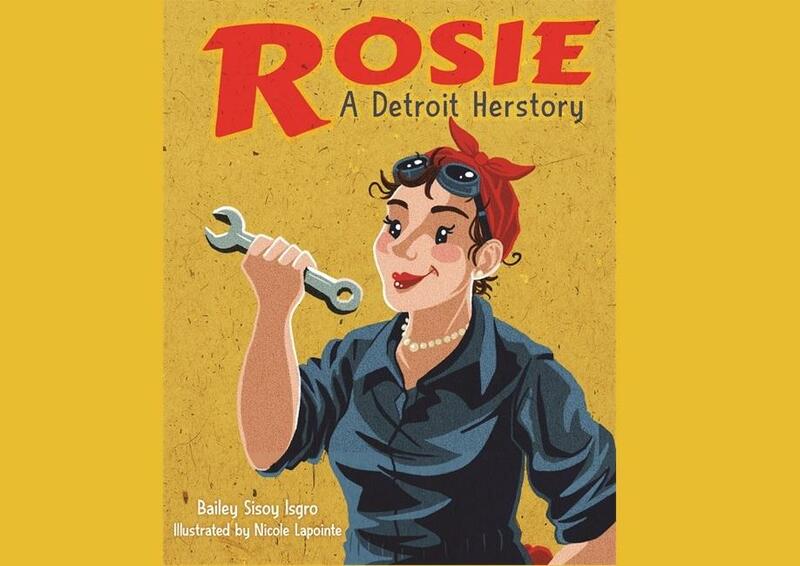 Rosie, A Detroit Herstory author Bailey Sisoy Isgro and illustrator Nicole Lapointe joined Stateside to talk about what they hope young readers get out of the book. Began a quest in which women were key. Young women building the unprecedented. Across America, women showed their might. Rosie the Riveter was born in this fight. They helped win a war and saw a nation changed. Those are the opening stanzas of Rosie, A Detroit Herstory. The book uses rhymes and illustrations to show young readers the important roles played by women and the city of Detroit during World War Two. “The idea of writing a really great children’s books that would be as fun for adults to read to children, as for children to enjoy listening to or reading themselves, was an exciting way to get people who might not pick up a history book to pick up a history book,” said Sisoy Isgro, who also owns Detroit History Tours. Listen above to hear about what sparked the idea for the book, the inspiration for the illustrations, and the example that Rosie sets for kids in 2018. Stateside's conversation with Mark Harvey, a state archivist from the Michigan History Center. Nowadays, watching sports highlights is as easy as looking at your phone. But a century ago, not so much. In fact, more than 100 years ago, groups were urging the Governor of Michigan to suppress the showing of a film that recorded one of the biggest sporting events of the age.